What Can Hard Hats Protect Against? Do you work in a dangerous industry? If you work in maintenance, construction or the oil and gas industry, then your answer should definitely be yes. A lot of people in this line of work might be tempted to say no. That’s because they’re so used to the risks and hazards that come with the job. They get complacent. But, you’re a smart worker. And, you take your own personal safety seriously. You know how important it is to anticipate hazards and focus on injury prevention — especially when it comes to protecting your head. 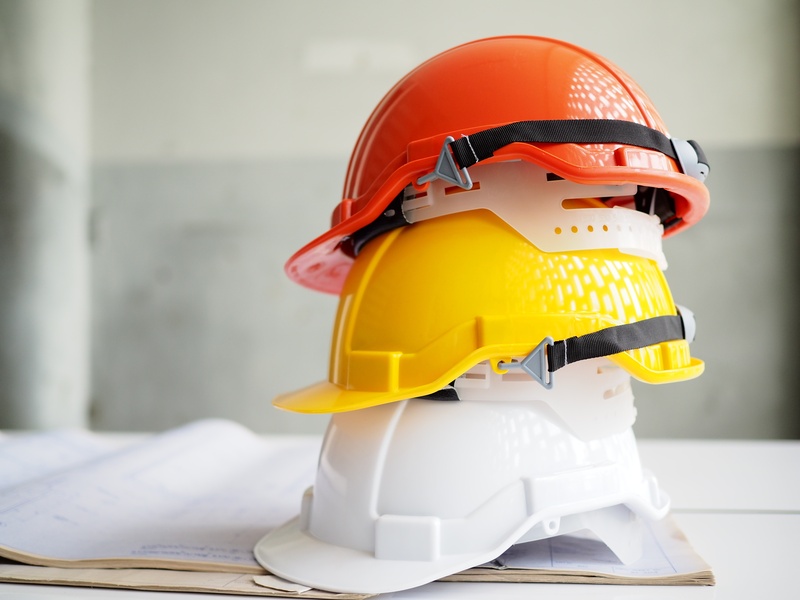 According to the Bureau of Labor Statistics, there were over 84,000 work-related head injuries in 2014. 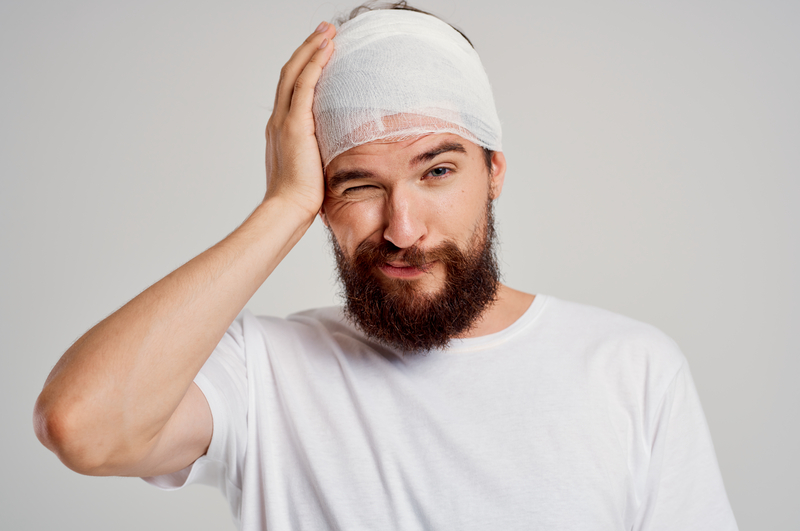 Let’s take a closer look at some of the common causes of these head injuries. Then, we’ll talk about how hard hats can help you prevent them. Most work-related head injuries happen as a result of being struck by an object, tool, or piece of equipment. Even if most of your work is done remotely, you are still at risk of these types of hazards. 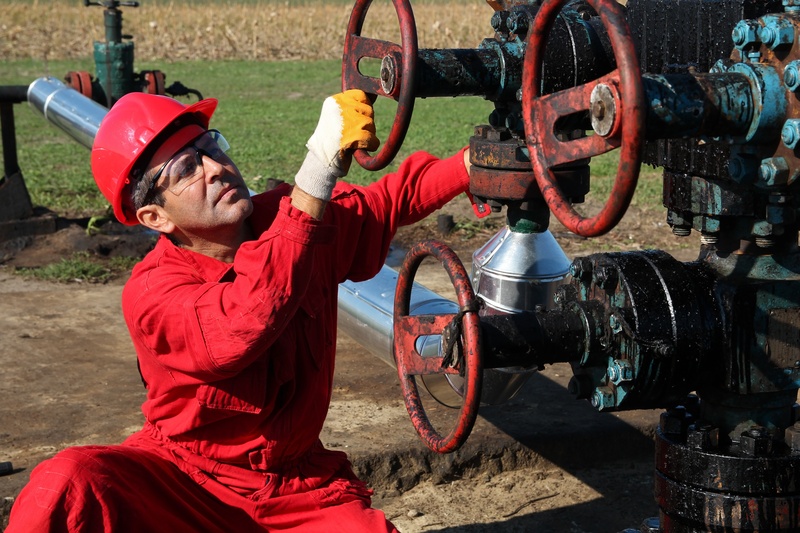 If you’re interested in learning more about how to prevent struck-by hazards in the oil and gas industry, check out this related post on our blog. Below is a summary of what you should keep in mind for hard hat safety and head protection. 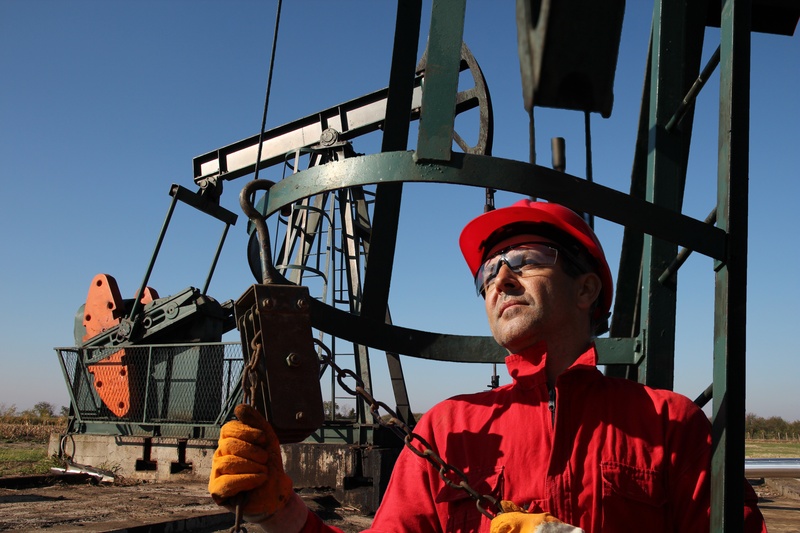 Three out of every five fatalities in the oil and gas industry are from struck-by and caught-in hazards. That’s because there is usually a lot of activity going on at once. The force of a collision with another object can cause some serious damage. Particularly when a person gets struck in the head. 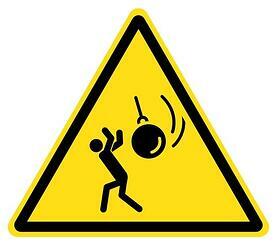 Struck-By hazards are usually caused by falling and flying objects, swinging objects, and rolling objects. Have you ever seen someone lose their grip on an object or tool? 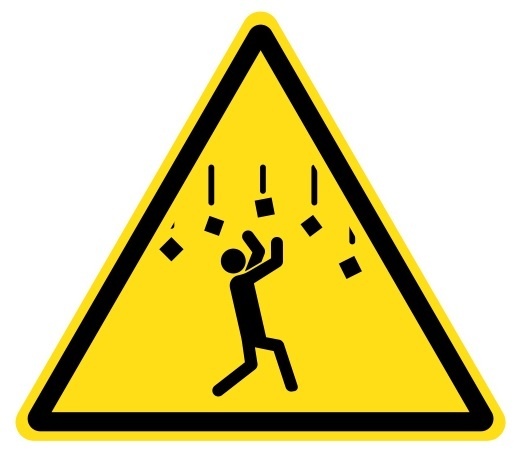 What happens if they accidentally drop something while you’re working directly below them? Unfortunately, this does happen. Hard hats can help protect you from this type of incident. Suspended loads can also fail and fall on top of someone. When hoisting and rigging equipment, make sure it’s being done properly. You don’t want the straps or chains to snap. You should never be working under a suspended load, anyway. But you can be struck by the parts or pieces that snap off, even if you’re standing ten feet away. So stay clear, and wear your PPE. Cranes, excavators, and other mobile equipment cause swinging object hazards. If you’re a mechanic or service technician, then you know how important it is to be aware of your surroundings when working near them. Even if you’re working on something that has been shut down, there could be other equipment nearby that you need to watch out for. Lockout tagout also comes into play here. Make sure you lock out any equipment that you’re working on. Support or block the arms, buckets or any other moving parts. Remember, a blow to the head from a swinging object can be fatal. 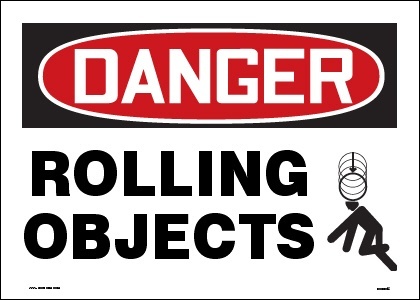 Fleet vehicles and mobile equipment also have the potential to create rolling object hazards. The weight and force of this type of collision can cause serious injuries to the head, and the rest of your body too. Use chock blocks, parking brakes, and other means to secure mobile equipment. If you do ever experience a head injury at work, get it checked out right away. Sometimes even the smallest of bumps can have lasting effects. You don’t always know how extensive the internal damage was. That’s why you need to be evaluated by a medical professional. Usually the symptoms from a “minor” head injury will resolve within a few days. They might include a headache, bump on the head and soreness. Watch for lasting symptoms that could be telling you the damage was more severe than you first realized. If you experience any of the following symptoms that just don’t seem to go away, contact your doctor. Again, whether your injury is minor or severe, you should get it checked out as soon as possible. Let the professionals evaluate you. They can make treatment recommendations that will get you back to work as quickly as possible. Since this “potential” is often difficult to predict, most employers require hard hats as part of the basic PPE that must be worn at all times. What are the requirements for your job? Do you wear a hard hat every day? Start thinking about when and where you typically have a hard hat on. Could you be wearing one more often? Pay attention to the environment you’re working in, and to what the hazards might be. If you work in a remote area, or are constantly changing locations, then pay extra close attention. Do a quick assessment of your surroundings before starting the work. The use of administrative and engineering controls can reduce the risk of head injuries on your job site. Remember, many of these injuries are caused by falling objects and struck-by hazards. Focus on the ways that you can prevent those situations from taking place. For example, what do your housekeeping efforts look like? Can you better secure tools and equipment that are stored on upper levels? Make sure you have established good communication and handling procedures when working near mobile equipment. Yes, those safety rules are there for a reason. And, it’s not just for the sake of compliance. It’s to protect you from harm. So wear that hard hat. Use the right tools for the job. Report hazards and injuries immediately to your supervisor. There are many different kinds of hard hats. You’ll find full-brim hard hats that offer additional protection. The brim wraps around the entire helmet, so the back of your neck is protected, too. These are a great choice for areas that have a high risk of falling objects. You’ll also find hard hats that have more of a baseball cap look and feel. These are called “bump caps” and are used in areas that have a lower risk for head injuries. They’re great for people who have to work in tight spaces, and could bump their head on piping, duct work or structural steel. Regardless of what you choose, all hard hats must be tested and approved by the American National Standards Institute, or ANSI. Check to make sure that your hard hat is stamped with the ANSI seal of approval. 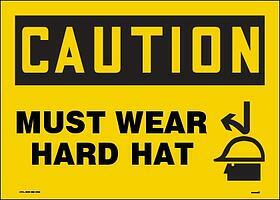 Another thing you might want to consider when choosing a hard hat is what accessories it can accommodate. For example, do you want one that has slots for earmuff attachments? Do you need a chin strap to help keep it on when working in tight, awkward spaces? Bandannas and sweatbands are other popular accessory choices for keeping you comfortable. Once you’ve chosen a hard hat, check the manufacturer’s recommendation for how often you should replace it. Often times they suggest every 3-5 years. But every manufacturer is different, so check the user’s manual, or the label on the inside of the hat. For more information about hard hat safety, check with your safety specialist. You’re already doing the right thing by researching ways to protect yourself from head injuries. Keep up the good work!